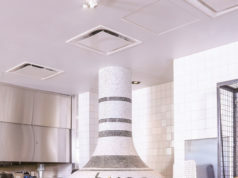 Alberta based and serving the province for 35 years. This year marks the 35th year of Delnor providing expert commercial construction services across Alberta. What started as a company launched by two high school friends is now a company executing more than $195 million over 300+ projects annually, while consistently ranking in Canada’s Top 40 Contractors. Ed and Ron reached out to the network they built from their years in the industry and made it a mandate that Delnor would be company that was easy to do business with. The first 10 years was about grit, building a reputation and brand. “After that time, we were considered to have a solid reputation. Next came having our feet on the pavement, looking for work and taking on the tough and highly specialized jobs that no one else would touch” explains Ron. While they built the brand, they also built the company. Phil Miller, Delnor’s first superintendent, was hired when the company was about a year old. That same year, Delnor secured their first big project, valued at nearly $1 million, at the Edmonton International Airport. This set the stage for larger and more complex projects. “Some of the largest projects at this time came from clients that we still have relationships with today; for example, the University of Alberta Hospital’s rooftop heliport project,” Ron reflects. The TELUS Workplace Integration project in 1997 marked a huge turning point as Delnor’s workforce tripled in a six-month period. In the proposal submission Delnor was set apart and competitive due to Ed’s dedication. He relocated his office to the TELUS project site for nearly two years, which demonstrates the commitment that Delnor strives for. Food Services Redevelopment was Delnor’s first $2 million+ project. At this time, Delnor was also one of the front-line founders of the Construction Management delivery methodology in the Edmonton marketplace and one of the earlier contractors with the opportunity on these types of projects (at both the NAIT project and Edmonton Public School Board with the McNally School modernization). They were easy to do business with and collaborative before those were buzz words. As the century turned over into the 2000s, Delnor continued to grow rapidly, securing multimillion dollar projects with some of the largest names in Alberta’s commercial, health, technical, educational and business landscape. “June 2005 – The Capital Health Food Services Redevelopment project, valued at $5.5 million, was one of our largest healthcare projects at the time. This was a confirmation that our relationship with Alberta Health Services was allowing us to move toward becoming experts in healthcare projects and facilities,” notes Glenn Cyrankiewicz, Delnor’s CEO and Principal. The Ardrossan Recreational Complex project valued at $17 million followed in 2010, and at 30 years, Delnor branched out of the city and entered the Calgary marketplace. 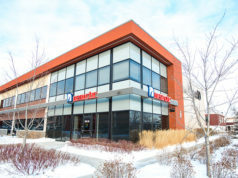 After opening up the Calgary branch, Delnor completed the first phase of the ATB consolidation projects in Calgary, valued at $10.5 million. This was important as the contract continued to also award the Edmonton consolidation project at Delnor’s largest project to date, valued at over $30 million. Following this award, Delnor further renegotiated the ATB Eighth Avenue Place floors 4-7 job for $7.5 million. This made the ATB consolidation projects Delnor’s biggest collective project of all time at almost $50 million. Today, at 35 years old, Delnor continues to leave an impressive legacy in Alberta, even though its age is gracefully showing in positive ways. “Last year, Delnor had our first hired employee retire – a superintendent that worked with us for 33 years. It was also the year we had a third renewal of our Construction Management standing order contract at the University of Alberta, making us the first of Alberta’s general contractors to achieve this opportunity. 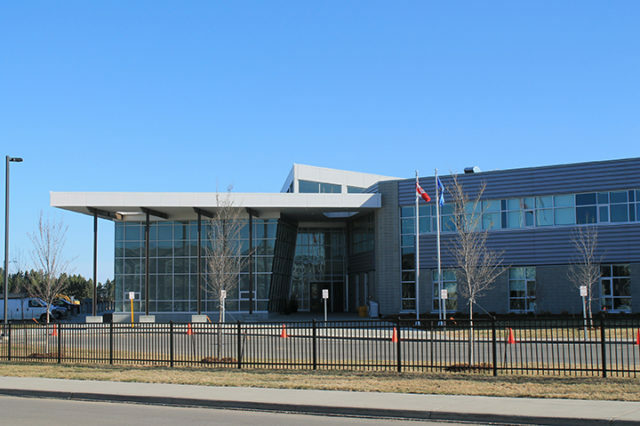 We were also awarded our first Integrated Project Delivery (IPD) contract of two new schools in Edmonton – yet again being pioneers in the Edmonton marketplace to be awarded a project utilizing a collaborative construction methodology,” Glenn says proudly. There’s a reason for Delnor’s success, and it’s rooted in the original founder’s vigor. They were willing to take a risk to start Delnor, and in turn, Delnor is never afraid to tackle complex jobs that others turn down. The University of Alberta’s Brain Institute Gamma Knife suite, Slowpoke Nuclear Reactor decommissioning, numerous Cross Cancer Institute equipment and treatment projects, and the Northern Alberta Urology Centre are just a few examples of these types of projects. When Delnor opened its doors 35 years ago, Ed and Ron filled every role. They booked the jobs, went to site, did the accounting and marketing – everything it took to get the Delnor name out into the industry. Today, the company boasts 220 employees across the province and will continue to grow with Alberta. “We are very fortunate to have solid employees that contribute to and are invested in the success of our company,” says Glenn. “They are willing to work hard and are the basis of the culture we are collectively trying to achieve. Having skilled, motivated, and empowered employees is key; however, it is our retention of successful employees, which has created stability, trust, and confidence with our clients and servicing sectors for decades, that makes us stand out. Delnor’s mission is to create a strong and safe culture where all workers return home safely at the end of each day. Safety and training are key aspects to Delnor’s business, using their ‘Work. Safe. Home.’ motto as a guide. Given that Delnor oversees over 300 projects annually, they are responsible for the health and welfare of a significant workforce. Glenn says, “This is why Delnor has a goal of zero incidents, and we are committed to making this outcome a reality. We believe in consistently measuring and improving safety performance, and due to this philosophy, we have been successful in achieving a Certificate of Recognition (COR) for many years. With these policies and a strong corporate culture, from management to field staff, Delnor has some of the lowest turnover in the industry. This creates a confidence in their clients that they can work with people and teams at Delnor that they know and trust. As the brand grew, so did Alberta. Competition in the building industry was (and remains) fierce, but the Delnor business model keeps the company ahead of the competition. Glenn explains, “Delnor is a full-service contractor, and we look after all our clients’ construction needs for any sized project. Our model is based on assigning a project manager at the start of the project who remains to the final completion of the project. This provides them total accountability of completing the project and empowers them to oversee its success. “Because of our unique cradle-to-grave approach of having the project manager take full accountability from start to finish on a project, our project managers and teams take a lot of pride in their work. This instills a hands-on approach right down to every aspect of the team coming together to make each project a success,” adds Glenn. Delnor Construction was the dream of two men, and the vision has grown into a reality that benefits all Albertans. The management team acknowledges that every person in the company plays a role in the company’s rapid growth and ongoing success. “Today, Delnor’s success extends beyond any one person,” says Glenn. “Leadership is not a title; it must be an attitude throughout our culture. We require a total team engagement to be sustainably successful. It starts with our ownership group modelling the necessary behavior and being held accountable to the same standards. Delnor’s focus on constantly innovating internal processes and going far beyond client expectations is not limited to the workplace. In accordance with the philosophy of the company founders, Delnor feels giving back to the community is a very important part of the operations. Delnor helps many charitable organizations as part of their culture. They give back to clients that support them, which is especially true of healthcare organizations and not-for-profit initiatives. Health services affects all Albertans; it is fundamental to Delnor’s business to support many not-for-profit foundations that further research and provide healthcare to the community that they help to build. Delnor was also a major donor of products and services to the Cross Cancer Institute’s Healing Garden. As Glenn and the principal ownership group reflect over their decades in the business, they express a sense of gratitude that they and the company are able to enhance the lives of so many Albertans through the projects they undertake. Delnor has been growing with Alberta for 35 years and continues to serve its people through all aspects of their life cycle. From healthcare (where we are born), through to specialty care and seniors housing, schools and post-secondary (where we learn), corporate spaces (where we work), recreation (where we play), and worship facilities (where we gather). Delnor meets all of these needs and more in the diverse marketplace of Alberta. Delnor prospers on the strength of client relationships because they help the business grow and continue to exceed expectations. “We have been privileged to serve many clients and consultants throughout the life of our company, and this repeat business has become the backbone of our operations. Alberta Health Services, Telus Communications, and ATB Financial are just a few examples of the long-term relationships that we continue to build upon today, across Alberta” Glenn says appreciatively. The company’s commitment to excellence has been robustly recognized in the industry, and Delnor counts a Canada’s Top 40 General Contractors award and an Alberta Ventures 2016 Contractor of the Year award among their many recognitions. It is important for Delnor’s founders, Ed and Ron, to see the legacy of the company continue, and the recent succession plan has seen a successful transition to propel Delnor into a profitable future. The new ownership group has adopted the model led by the example of the founders and will continue down the path that has proven to be effective and successful. 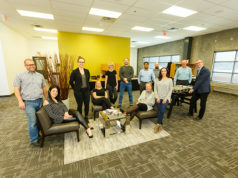 For this new ownership group, the future is to continue to focus on having Delnor first in the minds of clients and employees across Alberta. Glenn concludes, “We want to say a very big thank you to our clients, staff, vendors, founders – everyone that has and continues to make Delnor the success that it is today. Our goal is to have clients for life and make Delnor first, and we understand that we need to repeatedly earn that business partnership. This means being their construction partner; from looking after the smallest projects to the most complex projects, we are committed to overseeing our client’s total construction needs. The successful execution of a new ownership transition plan for the company ensures that Delnor’s legacy lives forward.